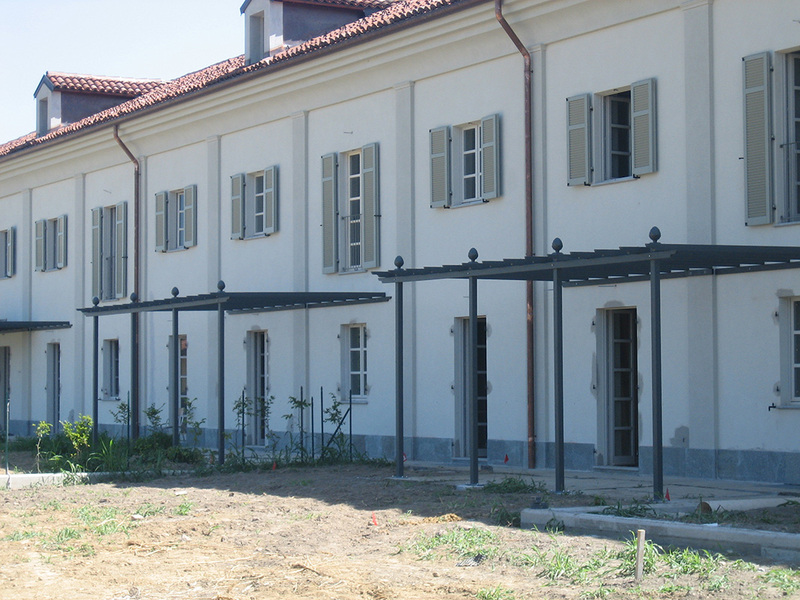 The Piemont Pergola is made of steel profile tubing. It is hot-dip galvanized and powder-coated in black. Other colors on request. 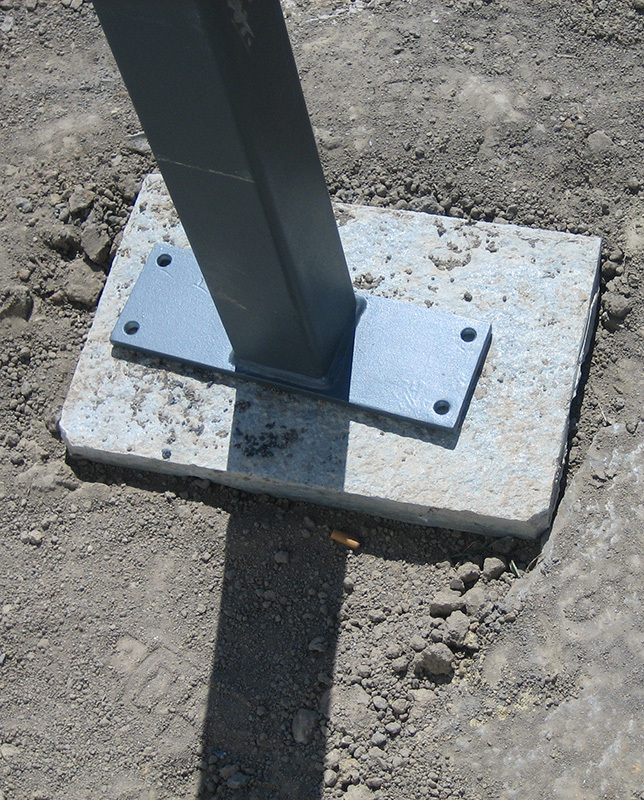 Posts are made of 3.15” x 3.15” (8 x 8 cm) steel tubing topped with a pinecone finial cast in Aluminium. The distance between the posts is 5’3” (160 cm). 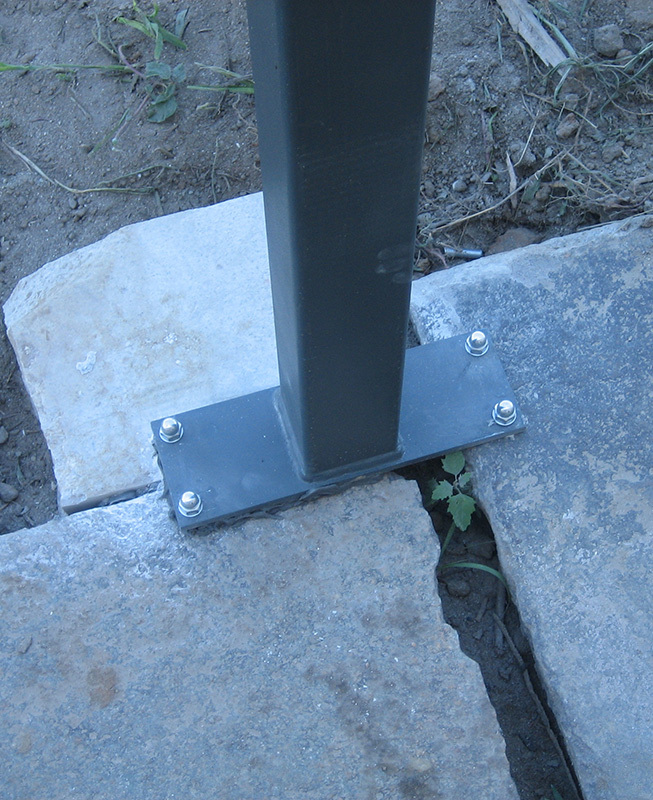 The support ribs are made of 3.15” x 1.57” (8×4 cm) steel tubing. The distance between the support ribs is 16.54” (42 cm). 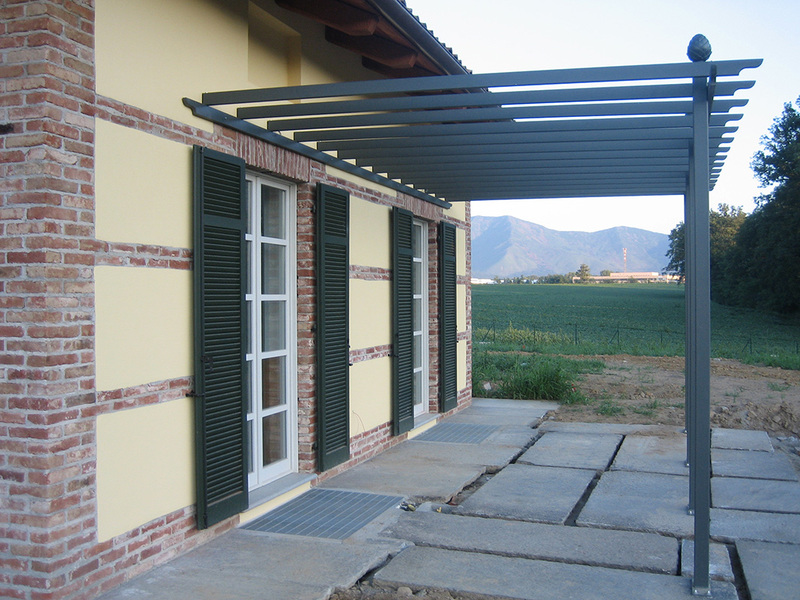 The overhang at each end of the pergola is 12.6” (32 cm). A pergola is a shielded walkway supported by pillars, which usually connects a house to part of the garden, such as a terrace or patio. Traditionally it is a lean-to-structure attached to a wall and – in contrast to an arbour – is not free-standing. 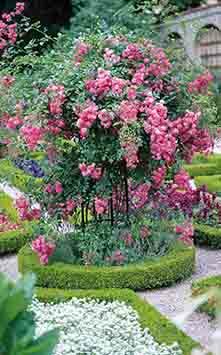 From ancient times and particularly since its rediscovery in the Renaissance, it has been prized as a special feature of ornamental gardens. 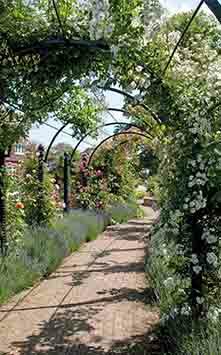 To the present day, it has been used both as a support for grapevine, wisteria or rambler roses and as a space divider in private gardens and public parks. The typical wooden pergola weathers quickly and, once it is covered with plants, it is impossible to apply the (often aggressive) protection agents that wood needs outdoors. Wooden structures also tend to look more rustic, which may not harmonize so well with the metropolitan flair of so many of today’s gardens. 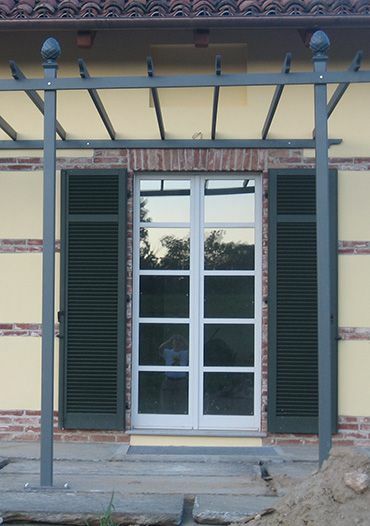 The Piemont Pergola is an elegant alternative. 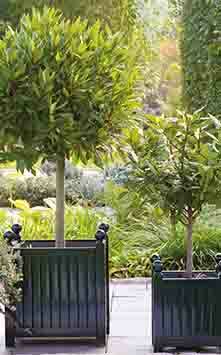 Sturdy, yet light in appearance, its clear steel contours are an ornament in any garden. 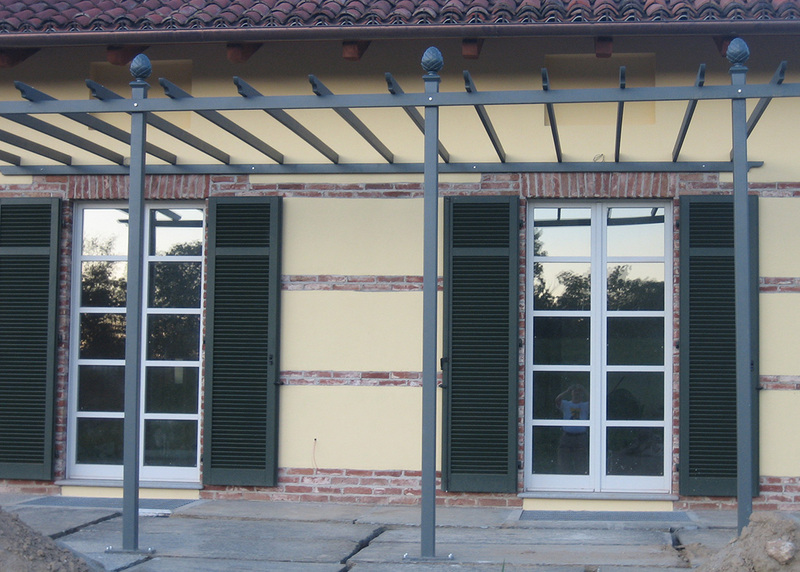 A well-positioned pergola will enhance and structure an exterior space. 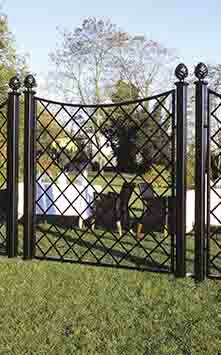 Whether standing free in the garden or leaning against a house wall, it defines and accentuates your favourite place. 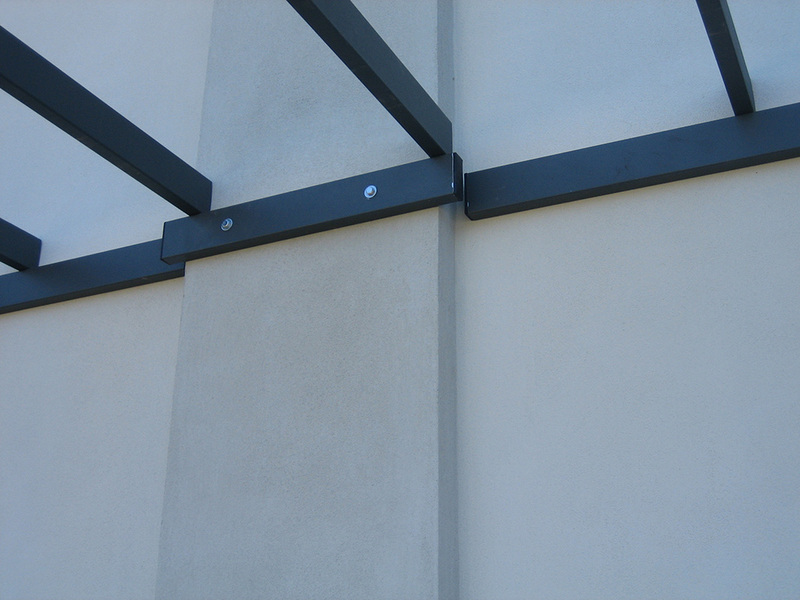 It can cover a terrace or patio – completely or partially. It can also stand alone in a courtyard or connect the space between the garden gate and the front door. A pergola can frame an airy extension to your living room and, thanks to its open construction, it will let in plenty of light. 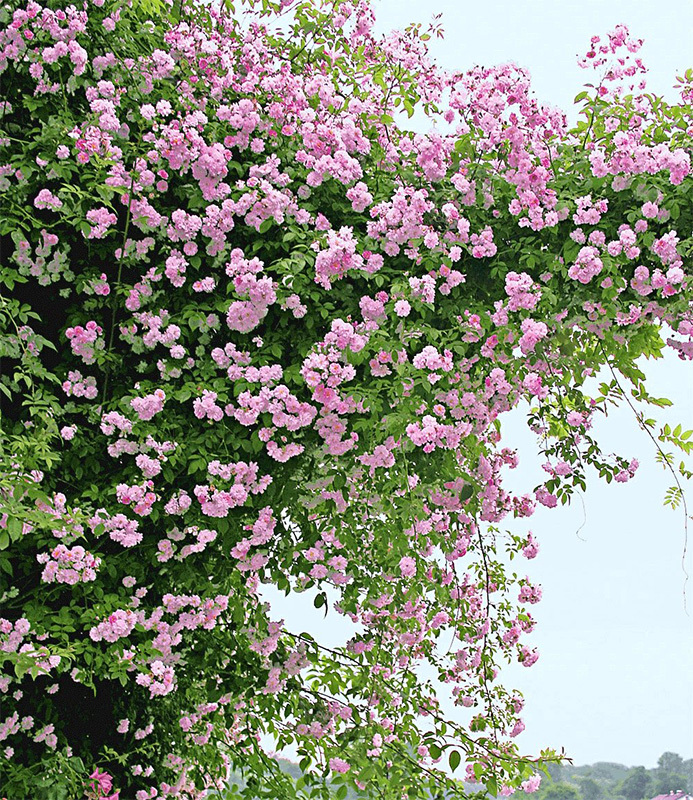 Enjoy your summer evenings as you would in southern climes – under a blooming canopy of climbing roses. 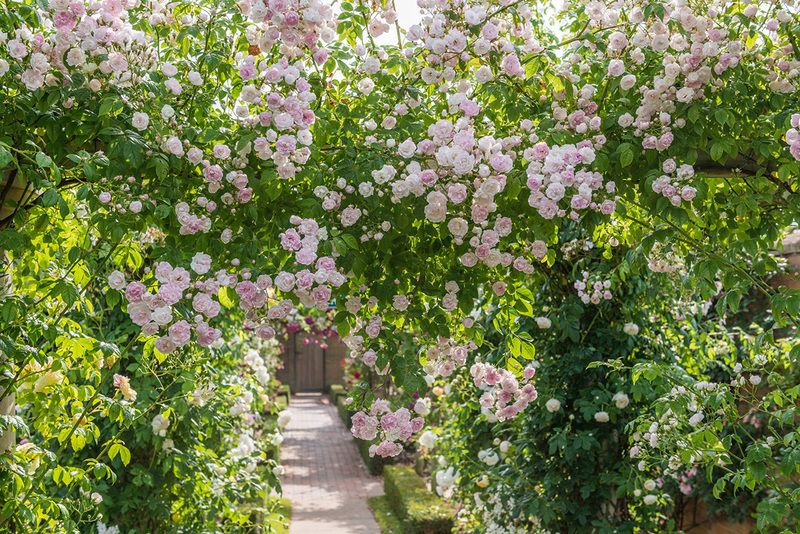 Throughout the seasons, a pergola is an invitation to indulge our senses. In springtime, it is a beguiling sight when draped in heavy blue clusters of wisteria. In July and August, the half-shade of a roof of green leaves is the perfect place for a refreshing drink on hot evenings. And in autumn, in the golden month of October, it is a place to gather under grapevine dripping with ripened fruit. Open a bottle of fine wine to celebrate the harvest of your own grapes! The Mediterranean flair of Classic Garden Elements modern metal structures is all the more pronounced, the more profuse the layer of climbing plants that cover them. 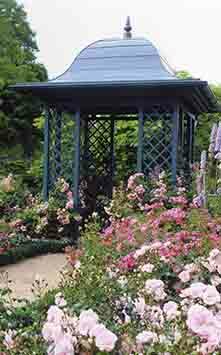 It is possible, if so desired, to install additional plant supports between the pergola’s posts, and in this way to create an attractive privacy screen. 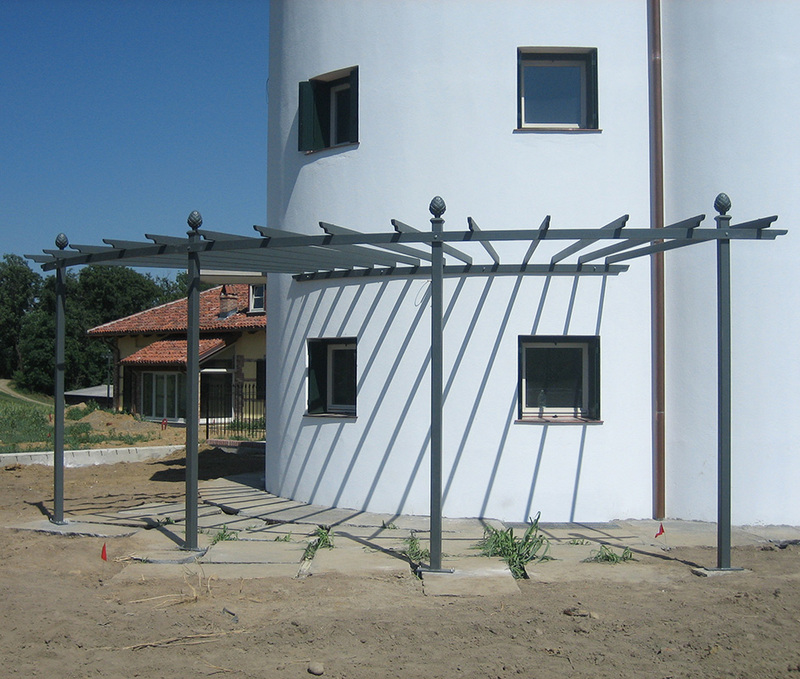 The Piemont Pergola is made from steel profile tubing. It is hot-dip galvanized and powder-coated in black. Other colors on request. • Length: 600 cm. Depth: 300 cm. Height: 300 cm. 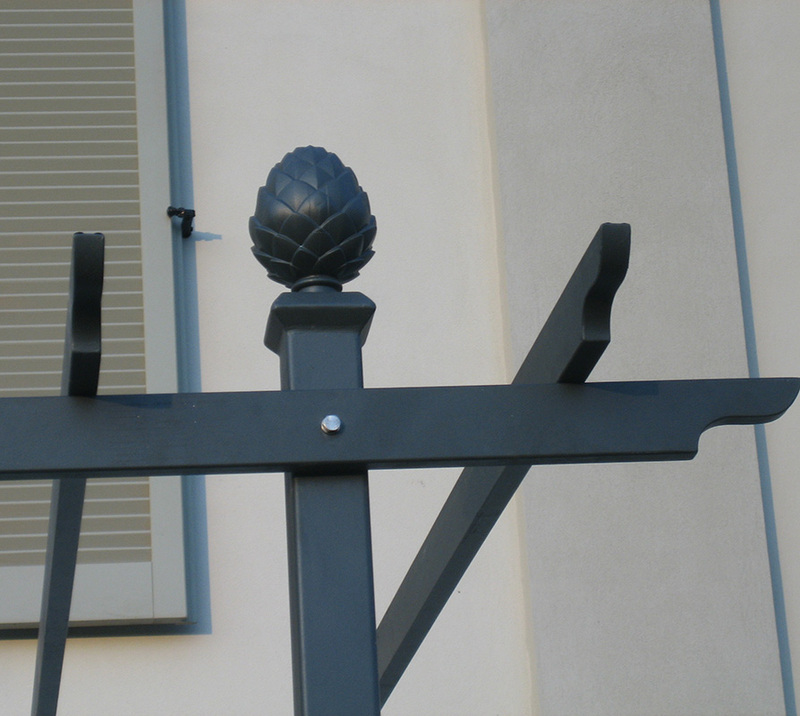 • Four posts made of 8×8 cm steel tubing topped with a pinecone finial. • Distance between posts: 160 cm. • 14 support ribs made of 8×4 cm steel tubing. • Distance between support ribs: 42 cm. 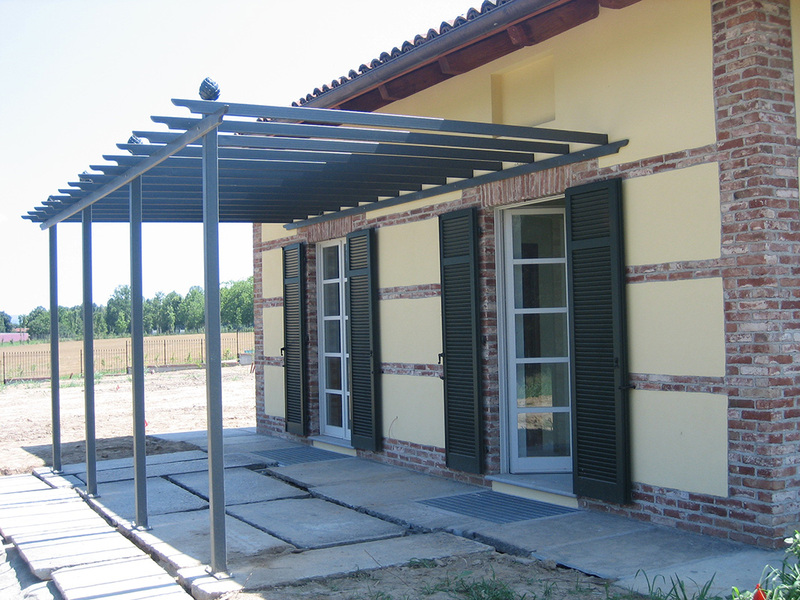 • Overhang at each end of the pergola: 32 cm. Additional module: 1,849.00 $ per metre. The prices quoted above are a guideline for general orientation. To purchase this product, please request an individual quote. We will be happy to provide you with a technical drawing based on your ideas and the measurements you supply.